The Racine Jingle Bell Run is December 9th this year. The Run/Walk starts at 9:30. Andy has started a team for anyone that is interested! 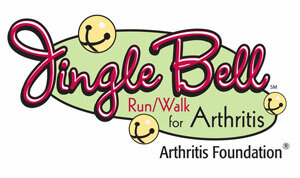 Click the logo for the Team Page or to simply donate to the Arthritis Foundation. 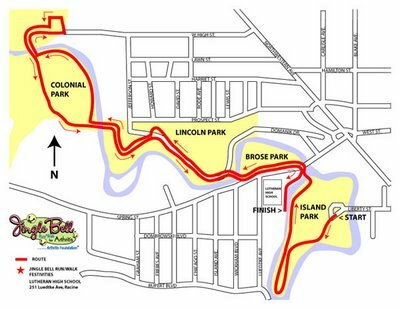 Additionally I thought I’d add a picture of the route the race takes…as you can see we run this route regularly!! Andy asked that I point out that the DEADLINE IS NOVEMBER 16th, so please sign up if you are interested. He also wants everyone to know that we can also submit a logo for our shirts (must be Adobe Illustrator .eps file) up to 12” wide x 3” high. If not, it will just be printed with our team name. Thanks Andy for doing all the leg work on this. If you have any questions e-mail Andy and he will try to answer them for you.